Regardless of your status, your service/program/department, your home base -- TELL the Bargaining team what your needs are! Click on the link below to request access to this confidential survey! 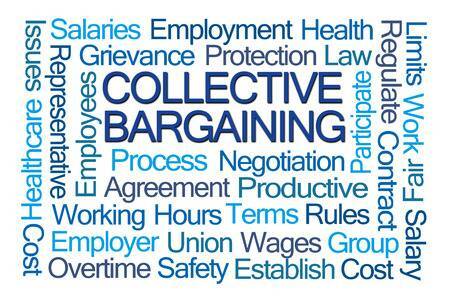 ​The Bargaining Team is planning for our next round of bargaining, and they face the task of being representatives for all of us. The Demand Set Survey is the first step for YOU the employee to have your voice heard! A demand set survey is used to gather YOUR input (the input of all members) about what needs to change in our Collective Agreement. The Bargaining team is encouraging all CMHA WW unionized employees to take approximately 15 minutes to complete the Demand Set Survey. Click on the button above to ask for the link to the survey! For a paper version of the survey, please talk to a steward or member of the bargaining team. Regardless of how you complete the survey, the deadline for submission is midnight on February 14th (paper versions need to be submitted to a steward or a member of the bargaining team). Please note that the demand set survey is not a voting process but rather an opportunity to collect information to better help the bargaining team understand what the wishes of our members are. The bargaining team will gather all the information shared in the demand set survey and bring it back to the membership at the Demand Set Meeting on March 5th. It's at this meeting that members will vote on what the top priorities will be for this upcoming round of negotiations with the Employer. Don't let others decide for you, get involved and get active!